The beauty of buying toys for kids 5 years and older is I would love to play with all of these finds as much as they would! I hope you’ll feel the same way, being a curious kid at heart is worth it this time of year. I’ve included the manufacturer’s suggested age range but you know your kids the best – feel free to ignore the age ranges if you feel it’s right. Plus, stop by all of Small for Big’s Gift Guides for more options, from babies to modern classics and everything in between. Because kids like to see things close up, from far away. Because being an explorer is still the height of cool. And because this tool is so slick all the adults will want to “borrow” it. Alphabet stamps are fun in their own right, but this set’s adorable case and pirate-y theme just makes them the tops. 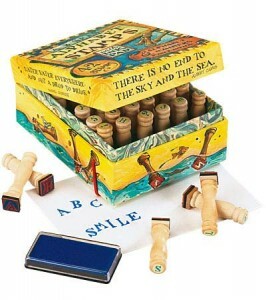 I can sea all your kiddo’s future drawings with very official labels across the bottom. Or maybe right through the middle, whatever works. Ok, I admit it. 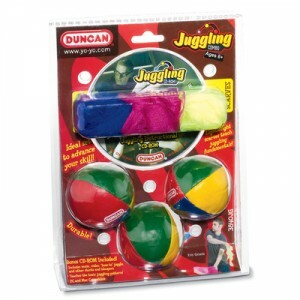 I know how to juggle. However, I do wish I’d had this How to Juggle Set when I first started out, I think I would have learned much much faster. 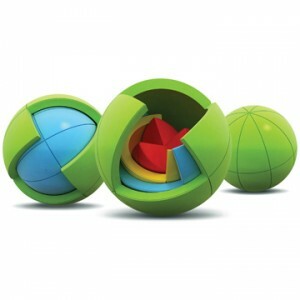 This looks like the kind of desk accessory you might find on Willy Wonka’s desk. Or mine. 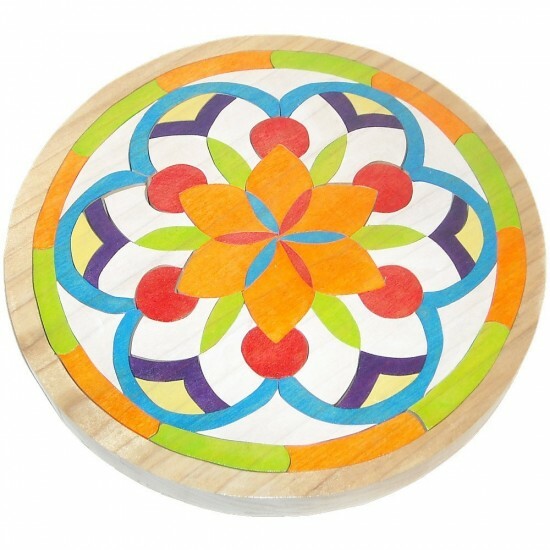 Or maybe at your dining room table? 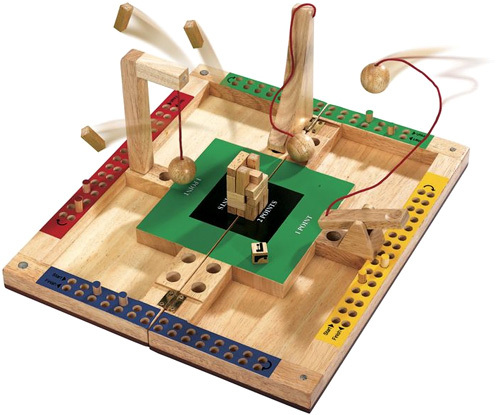 Fun for all to solve, it also builds dexterity, problem-solving, yada yada yada. Handmade puzzles like this are worth every penny, and doing a puzzle with your kid is priceless. 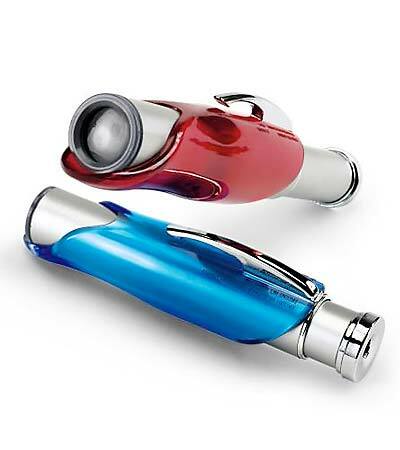 Luckily this one appears to be fairly straight-forward, so you won’t pull out all of your hair in the process! Originally posted here. 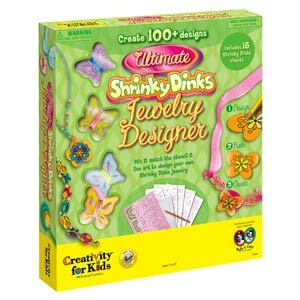 This find has lots of nostalgia for all of the parents out there – including me – who remember shrinky dinks fondly. I think I’ll be joining in the jewelry creation, you? 23 bugs, all a little larger than life. 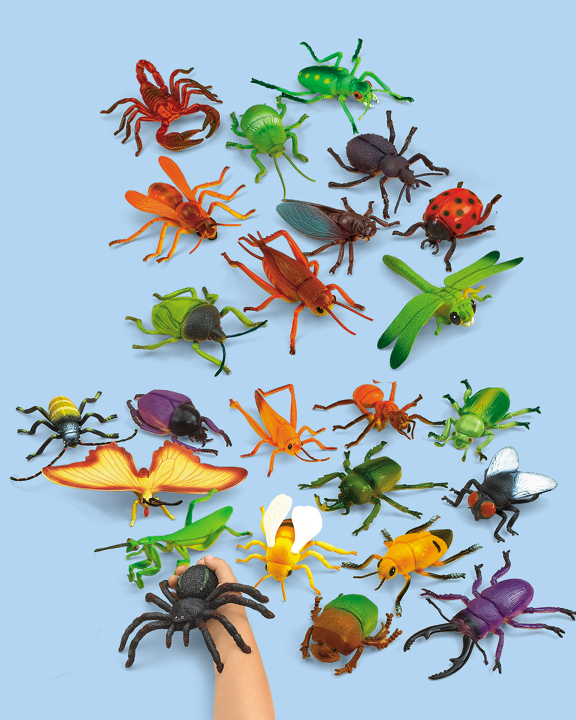 These guys may give you the willies, but they will give your bug lovers loads more fun. Apparently the tarantula is 6″ wide. Like I said, the willies. Oh my. Deglingos are such an aspirational brand for toy designers like me. This wolf has the zaniest appeal I’ve seen in years, and his strange demeanor lets your too-cool-for-school kid who secretly still loves stuffed animals show him off without fear. So, first of all, make sure the recipient of this clock knows how to read a regular clock. Then, stump them with this gift. Can you tell? The clock is currently saying it’s 11:20. 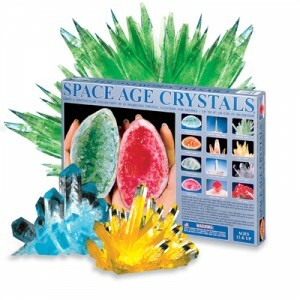 This is like, ten times better than your average grow your own crystals kit. It gives you the goods to create 13 different crystal specimens growing from 2″ up to 6″. Score! Like I’ve been saying, this is something I want for me too. 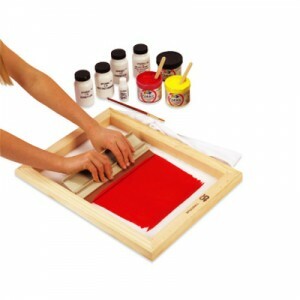 Just think of the creative projects kids will come up with once they get one of these – all the beautiful clothes in their closet will suddenly sport hearts or jolly rogers, depending on the kid. 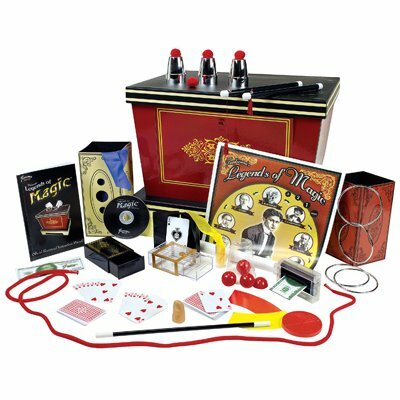 The ultimate in magic sets, this collection includes over 250 illlusions, props and more props, complete guide book, and a instructional DVD with rare footage of the masters. Completely and utterly awesome. This game has got to be such a blast. The goal is to destroy the block tower using various wooden weapons. Now that’s a family game night, forget the cards! I know I just said awesome, but this keyboard slash flute is also totally The Awesome. 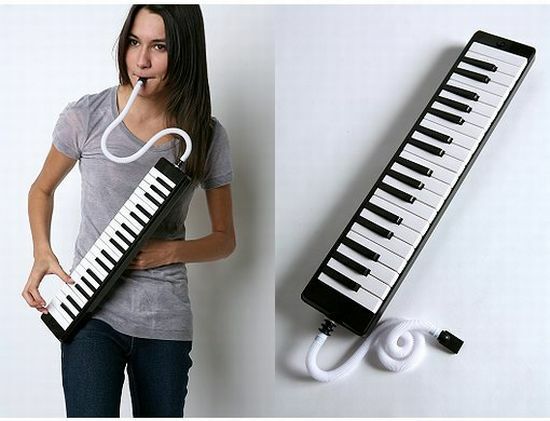 Perfect for all kinds of musical kids. You can read more about it in this earlier post. 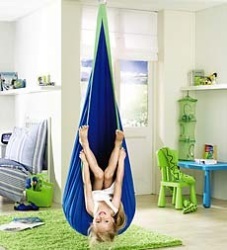 What kid Doesn’t want a hanging swing and hideaway in the middle of their bedroom? Indulge them, just this once. Then shower them with books to read in their cozy little floating nook. 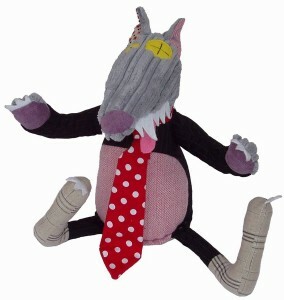 (ok, I know, they’re more likely to hang upside down in it, as the picture suggests). 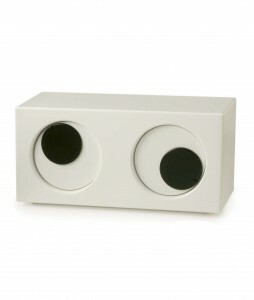 Ikea used to make a more affordable version called the Ekorre. Though the Ekorre has been discontinued, this enterprising Amazon seller is selling extra just for you, if you’re game.